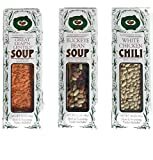 Save on Soups, Stews & Chili at Rae Of Sunshine Life. Top brands include Buckeye Beans & Herbs customs, & Buckeye Beans & Herbs custom. Hurry! Limited time offers. Offers valid only while supplies last.